On the first Sunday of each month we have Communion followed by a Shared Lunch. He can be contacted through the Lindisfarne Centre Office 03 216 0281. Everyone in the community is welcome to join our Sunday services of worship. 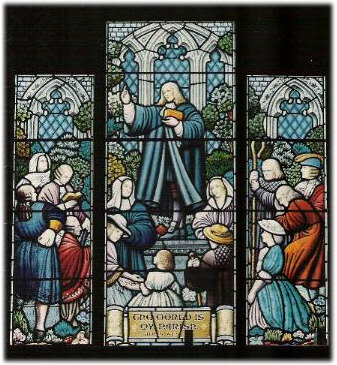 We follow the example of John Wesley, the founder of Methodism, who went out into his community to do God's work. In his words: The world is my parish. You are invited to contact the church office at 216 0281 on Mondays, Wednesdays and Fridays between 8.00 am and 1.00 pm. for further information.